Enter your email to get free printable activities for dementia in your inbox. Fun and meaningful way to keep your loved one with dementia engaged. These activities are emailed to you in a PDF format. All you need is a printer and a pencil/pen to get started. Match. Math. Art. Maze. Word Search. Engage your loved one with these fun and cognitively stimulating activities! We have created worksheets for each type of activity with different difficulty levels. You can engage your loved one with the activity most suited to their interest. Colour by number is a fun and engaging activity for seniors. We have created age-appropriate colouring sheets with different difficulty levels. 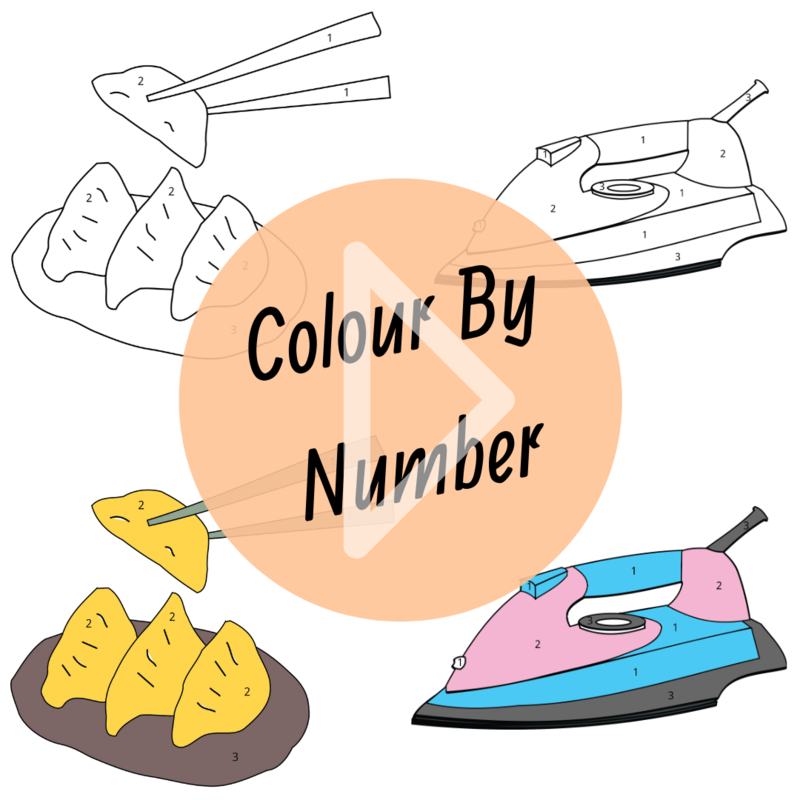 The numbers help to initiate and guide seniors with dementia throughout the colouring activity. Easy: 8 sheets of familiar images. Medium: 6 sheets of familiar images. Difficult: 6 sheets of familiar images. Word Search is a popular and favourite pastime for many seniors. These sheets can be purchased in English as well as in Chinese. Easy: 6 common Singapore related English words hidden in a 6 x 6 grid (20 sheets). Medium: 8 common Singapore related English words hidden in a 8 x 8 grid (20 sheets). Difficult: 12 common Singapore related English words hidden in a 10 x 10 grid (20 sheets). 6 common Singapore related Chinese words hidden in a 6 x 6 grid (15 sheets). 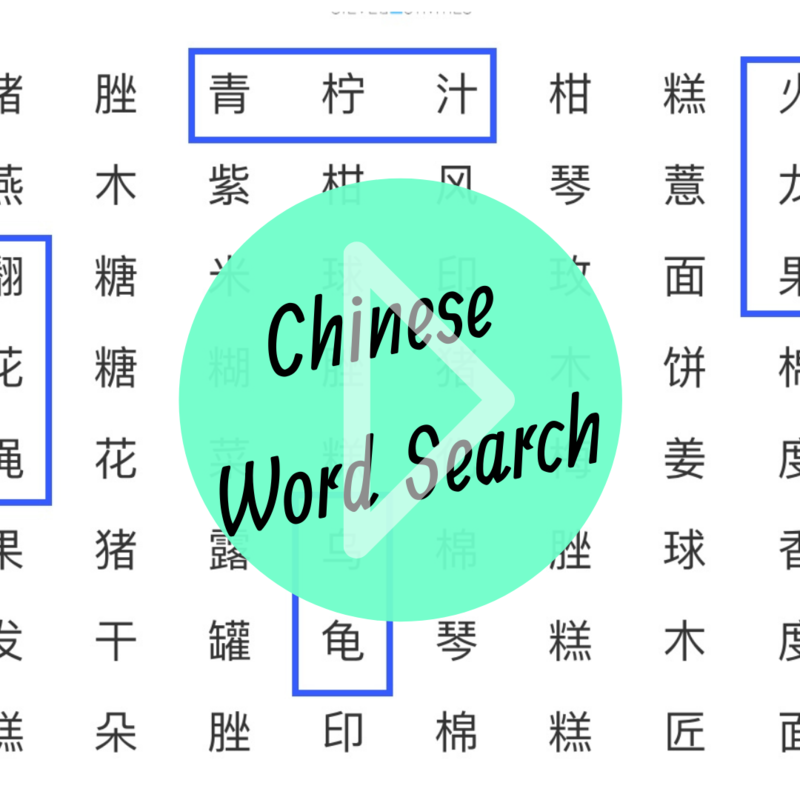 8 common Singapore related Chinese words hidden in a 8 x 8 grid (15 sheets). Easy: 6 common Singapore related Malay words hidden in a 6 x 6 grid (20 sheets). Medium: 8 common Singapore related Malay words hidden in a 8 x 8 grid (20 sheets). Difficult: 12 common Singapore related Malay words hidden in a 10 x 10 grid (20 sheets). 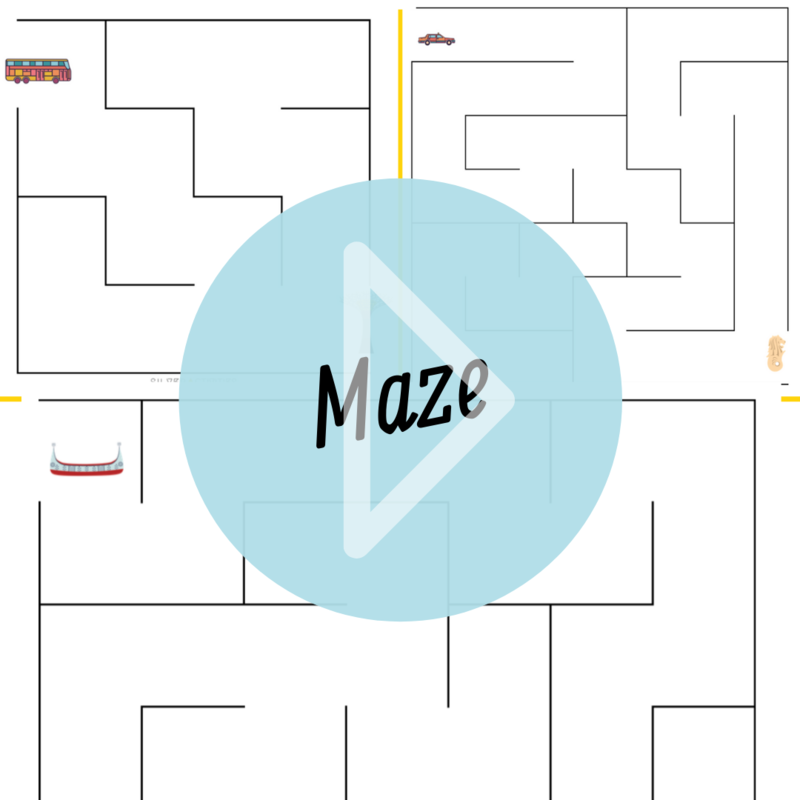 Maze is a unique and cognitively stimulating activity where the goal is to find the shortest path from start to end in a complex maze. Easy: 30 sheets of mazes that are simple yet fun to solve. Medium: 30 sheets of mazes that are slightly difficult to provide complex navigation challenges. Difficult: 30 sheets of mazes that will challenge seniors and test their visuospatial skills. 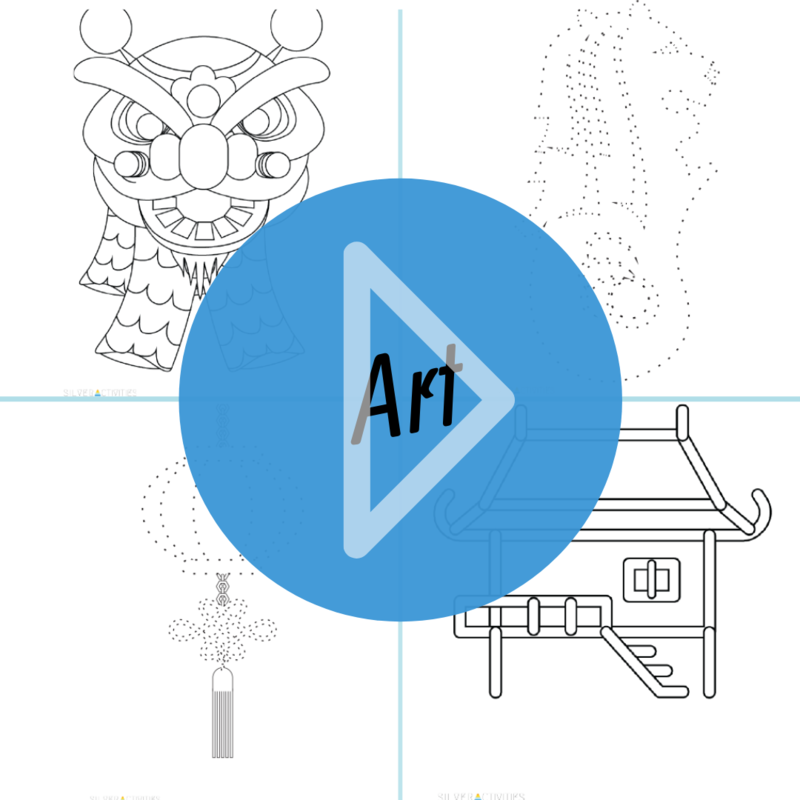 Drawing and colouring are a fun and engaging activity for everyone. We have created age-appropriate colouring sheets with different difficulty levels. Easy: 20 sheets of simple familiar drawings. Medium: 20 sheets of drawings with slightly difficult patterns. Difficult: 20 sheets of drawings with intricate patterns. 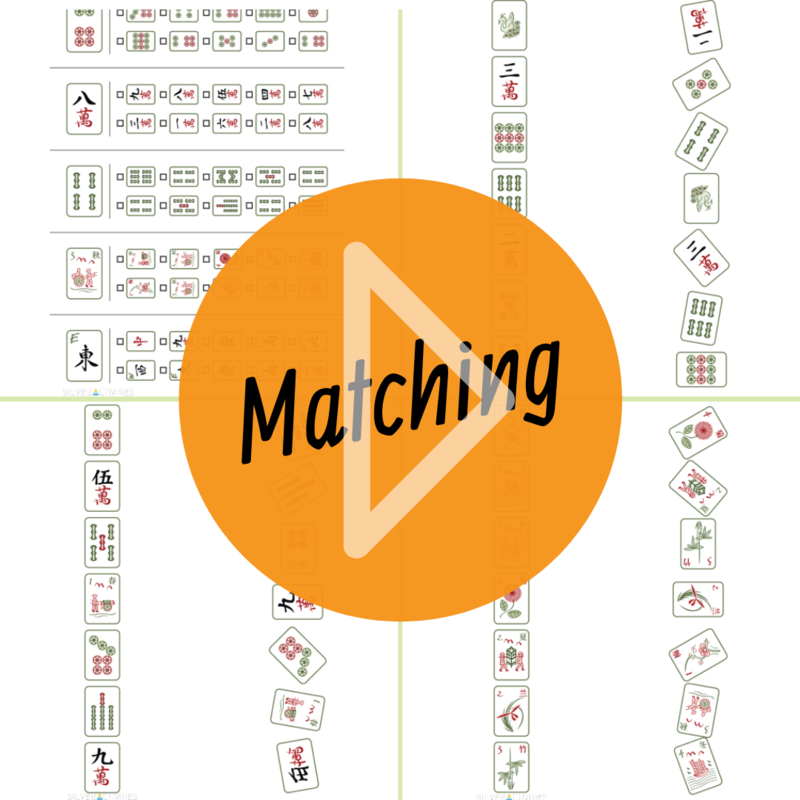 In this game, the person with dementia has to match similar looking Mahjong tiles. Each sheet has a different set of tiles that are arranged and shuffled randomly. 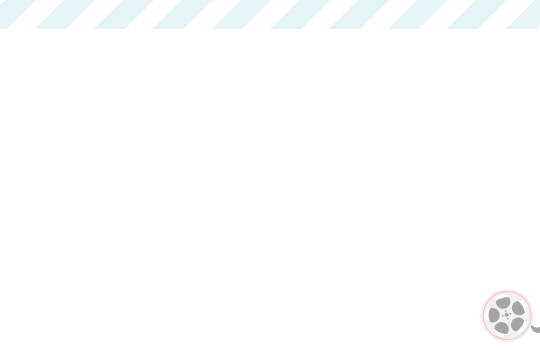 These activities are part of SilverSheets (Vol. 1). Being able to tell the time is crucial for orienting oneself and planning relevant activities across the day. 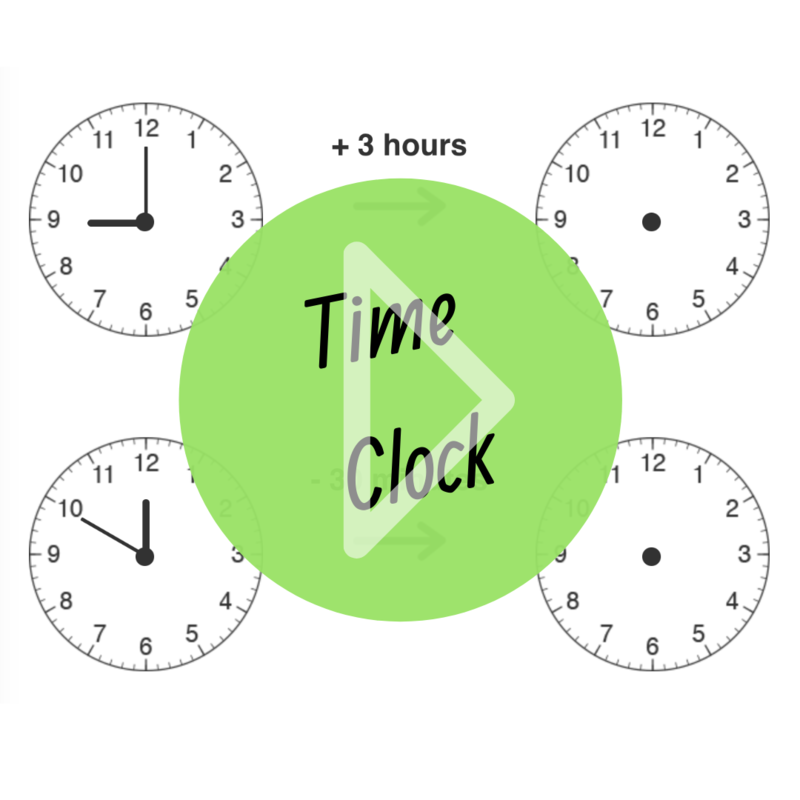 As telling time becomes increasingly difficult for people with dementia, we created these sheets to help practice reading and drawing time on a clock face. Easy: 15 sheets of 3 clock faces each. Medium: 15 sheets of 4 clock faces each. Difficult: 15 sheets of 4 clock faces each with difficult time questions. Solving math problems are both challenging and entertaining for many seniors. We have created multiple sheets with varying levels of difficulty. This game is perfect for a person with dementia who enjoys solving mathematical problems. Easy: Single digit addition and subtraction in a 3 x 3 grid (25 sheets). 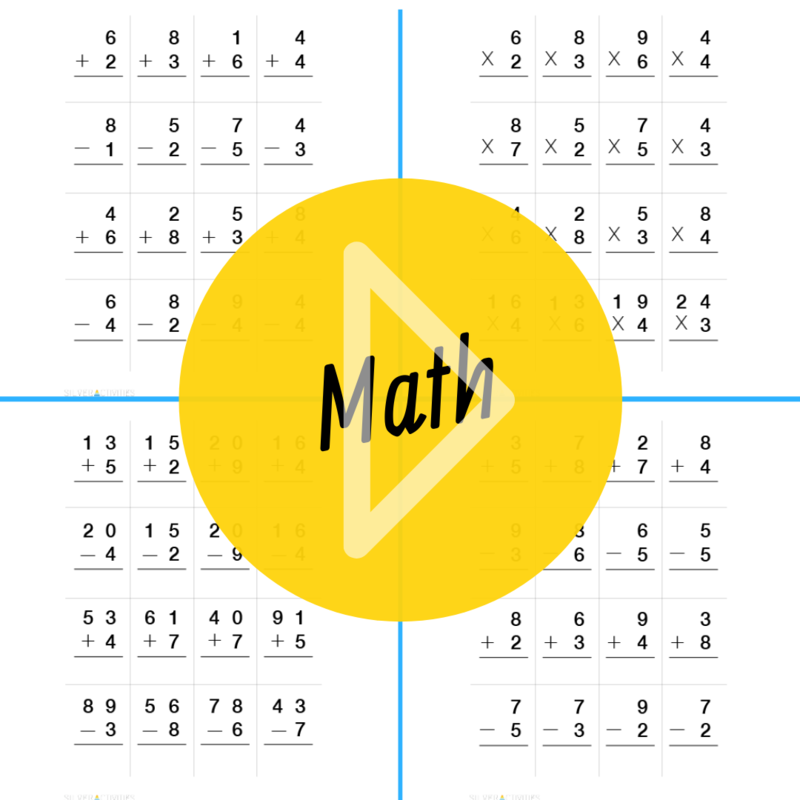 Medium: A mix of single and double digit addition and subtraction in a 3 x 4 grid (25 sheets). Difficult: A mix of single and higher order double digit addition and subtraction in a 4 x 4 grid (25 sheets). Contains 20 sheets of easy, medium and difficult level. 15 sheets of easy, medium and difficult with a total of 45 sheets. Volume 1 contains 5 types of activities with a total of 35 sheets. 5 Maze puzzles + 14 Art + 5 English word search + 7 Matching + 4 Math.